'Big Nick' O'Brien: That's ok. I don't bring my cuffs anyway. I went into Den of Thieves with low expectations, and walked out pleasently surprised with this movie! Im a huge heist movie fan and Michael Mann's 'Heat' is one of my favorite movies of all time. 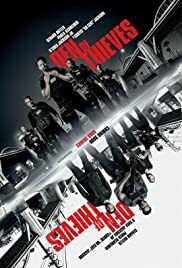 And while its true that Den of Thieves takes almost TOO MUCH inspiration from HEAT, it certainly delivers some unexpected turns that make the movie unpredictible and not generic. Sure, there are a lot of heist films out there, but I found Den of Thieves to bring some new elements into the genre that i have never seen, which i thought was pretty great. I was actually surprised with Gerard Butler's performance in this movie, he was actually REALLY good and played the role with commitment. 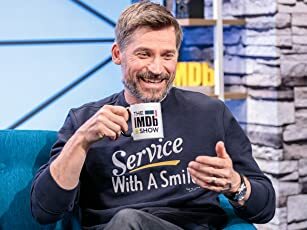 The same goes for the other cast members, Great Acting! What really sold this movie for me, was the incredible action sequences. They are directed fantastically, and the firearms in the movie sound robust and authoritative, which gives the film a hard edge that i found to love. There are a few scenes in the film that feel out of place and some of the character development isn't really there, but overall i had a blast watching this movie and plan to see it again. Definately Recommend to anyone a fan of the genre. 144 of 204 people found this review helpful. Was this review helpful to you?